In 1996, the U.S. Congress established the South Carolina National Heritage Corridor. The corridor extends 320 miles from the mountains and mill villages of Oconee County down along the Savannah River paralleling U. S. Highways 278 and 78 through the Edisto River Basin to the low country plantations and the port city of Charleston through 17 counties including Orangeburg County. Sites are identified to provide natural beauty, recreational opportunities, cultural traditions, and the state’s rich African-American heritage. Orangeburg County is the home to over 50 sites of interest that are “off of the beaten” path that include the themes of parks & trails, rail history, military battle sites, historic homes, historic sites, agricultural heritage, churches/cemeteries and museums/historic schools. Beautiful gardens and rivers and lakes are prominent. 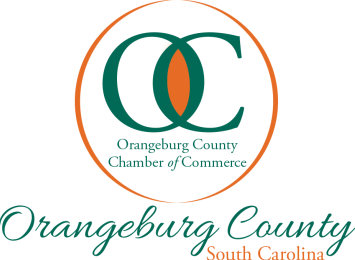 History buffs, festival goers, golfers, antique and art shoppers, horse enthusiasts, train lovers and those wishing to enjoy warm, friendly people will find Orangeburg County a great place to visit along the Heritage Corridor. DIRECTIONS: 4 blocks north of the intersection of Hwys. 21 & 301/601, off Hwy. 21/601 (Magnolia St.) in Orangeburg. DIRECTIONS: U.S. Hwy. 4 between Orangeburg and Springfield. DIRECTIONS: 4th building on the right at the corner of Geathers and Hollingshead Street. DIRECTIONS: 2 blocks east of the intersection of Hwys. 332 & 321, on Hwy. 332 in Norway. DIRECTIONS: I-95/Exit 98 Santee; 14 blocks south from the intersection of Hwys. 15 & 6, on Hwy. 15, turn right onto Brooks Boulevard. HOURS: Mon-Fri 8:30am-1:30pm and by appointment. DIRECTIONS: From the intersection of Hwy. 3 & 4, travel north on vHwy. 4 for 1/2 mile and turn left onto Brodie Street. DIRECTIONS: From (Hwy. 301/601) John C. Calhoun Drive (N.) turn right on Middleton Street, go one block, turn left on Fischer St. and Thee Matriarch will be on your left.